At present in the UK less than 10% of domestic waste is recycled. Therefore the other 90% has to collected, processed, and buried in landfill sites wasting energy, generating carbon emissions, and costing a lot of money. Countries in the rest of Europe manage to recycle well over 50% of their waste (70% in Flanders, Belgium) so there is no reason why we cannot do the same in the UK. REDUCE – make less waste in the first place. REUSE – reuse items where possible, or find alternative uses for them. 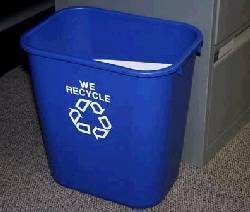 RECYCLE – recycle as much as possible so the materials can be used to make something new. 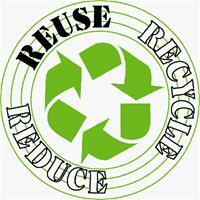 Below are a list of useful hints and tips to help you reduce, reuse, and recycle at home. – Buy products with packaging which can be recycled (and is ideally made of recycled products in the first place). – Buy products sold with minimal packaging. 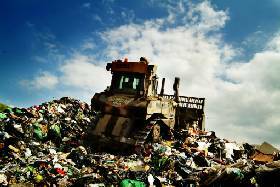 – Around 35% of domestic waste is organic – i.e. from the kitchen and garden. Make your own free compost – it’s great for the garden and much better for the environment than commercial compost which can contain non-sustainable peat. – Print and photocopy on both sides of paper where possible. – Have your address removed from direct (aka junk) mail mailing lists (contact Mailing Preference Service on 020 7291 3310 or visit their website mpsonline.org.uk. – Receive bank statements and other documents as emails whenever possible. – Only printout emails and documents if you really need to. Store the rest electronically. – Try and buy good quality products which will last a lifetime. In the long run it will save you money, give you a more pleasant user experience, and reduce waste. – Buy products which can be upgraded rather than replaced. – Buy in bulk (or concentrated form) where possible. It reduces the amount of packaging as well as costing less. – Don’t use bin bags (bin liners) in bins which are used to hold dry waste. – Use rechargeable batteries rather than disposable equivalents. – Refill ink cartridges for computer printers. – Pack lunches in reusable containers rather than wrapping in cling film or aluminium foil. – Buy loose rather than pre-packaged food such as fruits and vegetables. – Read books from the library, and share the books you buy with your friends and family. – The average British person uses around 150 plastic bags per year. Buy a few strong bags-for-life and take them with you when you go shopping. – Use scrap paper for shopping lists, phone messages etc. – Donate used clothes, books, toys, etc to charity shops. Not only will the items be reused, but the charity will also benefit from your donation. – Donate unwanted spectacles to Dolland and Aitchinson or Help the Aged shops so they can be given to communities in the developing world. – Donate used computers and peripheral items such as scanners and printers to one of the charitable organisations which refurbish and distribute them for people with low incomes here and in the developing world. – Reuse envelopes by putting a sticker over the old address. – Glass milk bottles can be washed and used up to 20 times. Return them to your milkman. – Use glass bottles and jam jars for storing small items, or give them to a local jam maker. 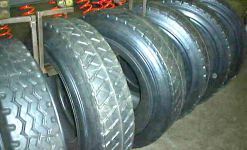 – Buy retread tyres for your car. 4.5 gallons less oil is used to remanufacture a tyre than is used to make a completely new one. – Try to repair broken products rather than throwing them away. – Donate old magazines to retirement homes, hospitals, dental surgeries etc. – Take part in a car boot sale so you can make money for items you may otherwise have thrown away. – Put used clothes into clothing banks. – Take glass bottles to the bottle bank. 30 gallons of oil are saved for every one tonne of glass that is recycled! – Recycle all aluminium cans and foil – it takes 95% less energy to recycle aluminium than it takes to extract it from mines. – Obtain the list of acceptable items for your kerbside recycling bin collection and start separating your waste.